You need hot water for cooking, cleaning and bathing every day, so it is important to have a good water heater in place to keep that hot water flowing. 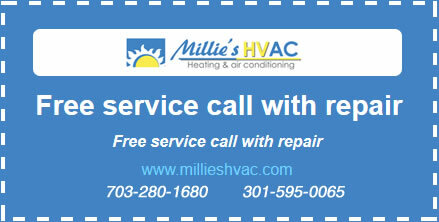 Millie’s Heating & Air Conditioning provides complete and trusted water heater installation, maintenance and repair services to customers all over the Arlington area. Our expert technicians can work on both tank and tankless models, and we are always available to answer your questions or send someone out for emergency repairs. When you need a new water heater for your home, the first thing you need to decide is whether you want one with a reserve tank or whether you would prefer a tankless model. Both of these types of water heaters are appropriate in different situations, and our professional technicians will help you determine which one is the best match for your home. For instance, if you have a smaller household and you do not use a great deal of hot water at a time, a tankless model might be the right choice. Tankless water heaters take up less space and generally cost less to run than traditional tank models. But they also have a hard time keeping up when there is a demand for hot water from multiple faucets at once. If this happens often in your home, you might be better off with multiple tankless water heaters or with a tank model. Regardless of which type of water heater you choose, you will need to make sure the model you get is the right size for your home. Particularly if you go with a tank water heater, just getting the biggest one you can find will ultimately cost you more in the end because you will be paying to keep that whole big tank of water hot when it is not necessary. A water heater that is too small, whether it has a tank or not, will have a hard time keeping up with your demand for hot water and will run out often. So since it is really the best balance you are looking for, it is a good idea to have one of our professional technicians to help you determine how much hot water you really need to have access to at any given point throughout the day. We can easily measure your peak water usage to determine the maximum you will use on a regular basis and then find the right water heater to accommodate that usage. Like any other piece of equipment in your home, your water heater needs some professional attention from time to time in order to keep working properly. 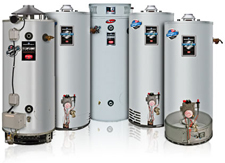 Our Arlington water heater maintenance services are designed to clear out sediment, replace worn out parts and sure up all connections, so your water heater will continue to function at peak efficiency and effectiveness. And when something does go wrong unexpectedly, Millie’s offers comprehensive emergency water heater repair services all over the Arlington area. So no matter what type of water heater service you need be sure to give us a call today.